At the Show last summer, I was talking with one of our judges about the age of the Society, which I believed had been in existence since before the Second World War. In fact it will be 70 years old in 2009. As I have been involved with the Society for 30 years I decided it would be good to record some of the Society’s history before it got lost in the mists of time. I was loaned the first Minute Book from the Local History Society and also had all the subsequent Minutes to start my research. 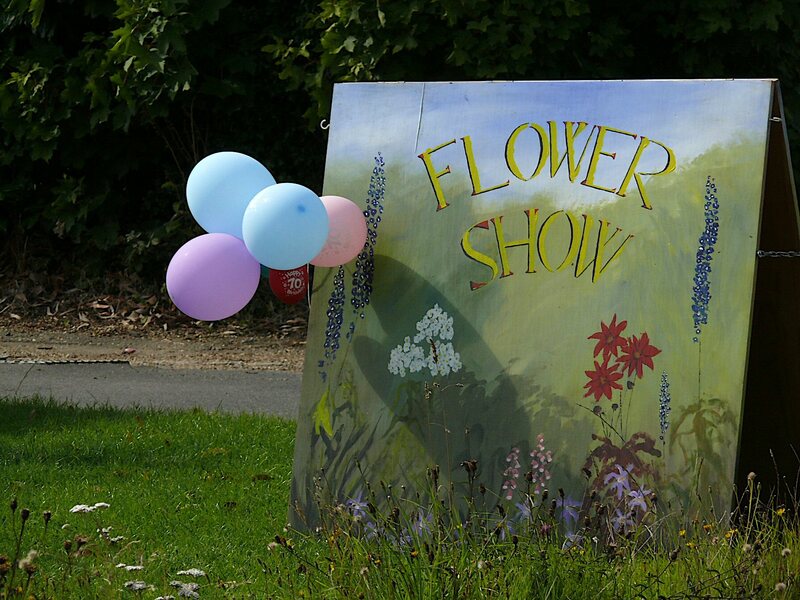 The first meeting was held at Cholesbury Village Hall on 17 April 1939 where it was agreed to hold a Horticultural Show on July 29 that summer. The office bearers were elected at a meeting on 28 April and they started off with £20 in hand. The first Chairman was Mr. Malcolm Stewart, and the first President was the Hon. G.H.G. Williamson who lived at Braziers End. Anyone who donated £1 to the Society became a Vice-President! A Committee was elected and the entrance fee to the Show was fixed at 3d and children 1d. Thereafter meetings were held at The Full Moon by kind permission of Mr. Hearn, the publican, who was one of the founder members of the Society. Lady Reed, wife of Sir Stanley Reed MP for mid Bucks, was asked to present the prizes at the first Show. She presented a Silver Challenge Cup to be awarded for the best collection of four different vegetables grown by a ‘Cottager’. If anyone won it three years in a row they could keep the cup and she would donate another one. I have been unable to find out if this happened, but the Society has three different Challenge cups, which are presented to winners in the Fruit, Flower and Vegetable classes. In 1940 a Show was held and classes expanded to include a class for children and cookery for the ladies. At a meeting in May 1941 it was agreed, due to the War, not to hold a Show and events did not restart until April 1946, when a needlework class was added. By 1950 the Show was becoming too big for Cholesbury Village Hall and a marquee was hired, for £7, for the first time. 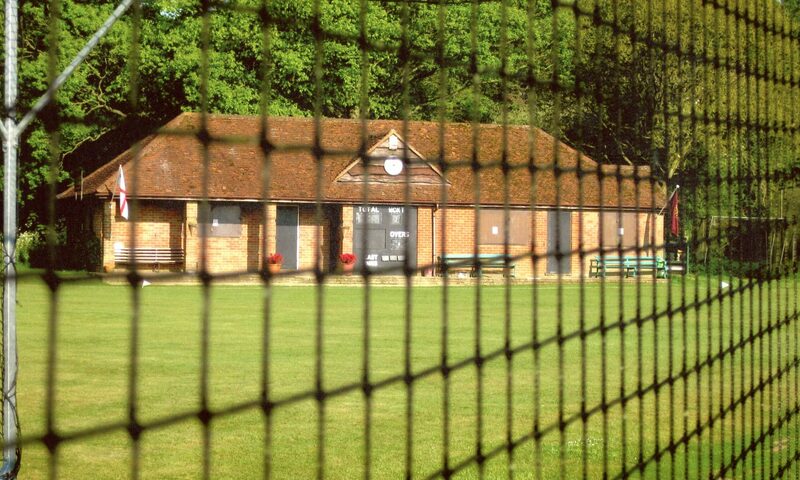 The Show continued at the Hall with the marquee on the Common until 1980, when the cost of insurance became too much, and the Show transferred to the Hawridge and Cholesbury School where it has been held ever since. In 1965 it was decided to hold a midsummer show which was known as the Rose Show and this was held at St Leonards Parish Hall until 1987, when it ceased due to lack of entries. In 1976, to raise funds for the Society, it was suggested a village calendar be published for sale. Local artists were asked to provide pictures and these popular calendars solved many a Christmas present until by 1996 it became uneconomic, as costs for a small print run became too great. For many years there was a grand draw at the Show, also to raise funds. The Society has twice hosted a BBC Gardeners Question Time: first in 1973 and again in 1994. Our little moment of fame. Unfortunately the second recording never went on air due to internal politics at the BBC. This was a disappointment, but everyone enjoyed the event, which was held at the school. By 1980 meetings were held with a speaker and/or slide show in the winter months. 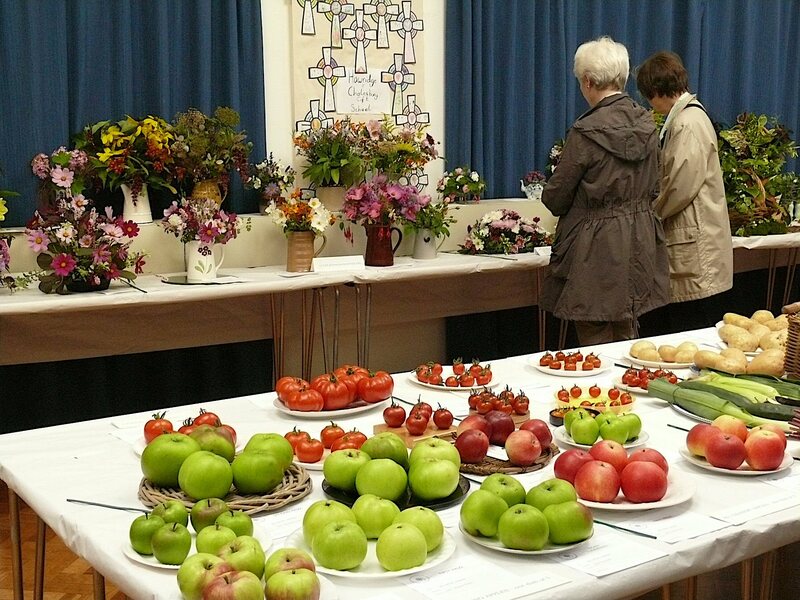 The local annual Open Garden and teas was a popular fundraiser and the tradition started of asking the hosts to present the prizes at the Show. In 1987 the popular Plant and Ploughmans evening was introduced. In 1996 to encourage people to attend the AGM, the Committee decided to provide wine and a light supper with a quiz, rather than have an outside speaker. This proved to be a great success and membership increased. By 2007 the ‘Foodie’ aspect of the Society’s events has become a feature – thanks to the good cooks on the committee. Similarly the enthusiastic sale of raffle tickets by George Finlay is unforgettable. Also in the 1990s the Society started arranging evening visits to local gardens. In recent years we have had visits to gardens further afield – the most noteable was the long anticipated trip to Highgrove to see the garden of the Prince of Wales. As it will be The Society’s 70th anniversary in Summer 2009, the Committee must plan something special to celebrate the ‘Hort Soc’ as it is now affectionally known. The Open Challenge Cup for the winner in Division 1, which is the Flower classes. The Silver Challenge Bowl for the winner in Division 2, the vegetable classes. The Challenge Cup for the best exhibit in Division 1. The Firth Prize is for the best exhibit in Division 2. The cup was given by Liz and Charles Firth who live at Buckland Common. Liz has been involved with the Society since 1978. The Phyllis O’Connor Bowl for Flower Arrangement in Division 3 was presented by Mr & Mrs Newmark in memory of Phyllis O’Connor. She lived in Buckland Common and was an enthusiastic member of the Society and the Women’s Institute. The Tomlin Cup is for the winner in the Dahlia classes. Mr. Alfred Tomlin was a founder member and was a keen dahlia grower who lived in Shepherds Cottage on Hawridge Common. His family had a wheelwright and funeral directors business at the Old Smithy, which was where the first petrol pumps were in the village. The Bowden Cup is for the most prize money in Division 2. Mr. A. Bowden lived in Hawridge and was a gardener at Hawridge Court, and probably gardened for others in the area. He was a long term committee member. The Hodgson Children’s Cup was presented by John Hodgson, who was a past Chairman of the Society, and lived at Beechwood Farm, Buckland Common. The Ladies Cup is awarded to the winner in the cookery classes. Donor unknown but possibly it was given by the Society. The O’Brien Cup is for the winner in the handicraft classes. This is in memory of Miss Alice O’Brien who was a keen needlewoman. She and her sister rented Cherry Cottage in Buckland Common from the Butcher family. The Basil Newall Prize is awarded to the winner in Division 5 for Art and Photography. This was given in his memory by his wife Maureen who lives in the family home Four Acres in Cholesbury. He was a trained artist and enjoyed photography and especially loved country pursuits around the villages. The John Horn Allotment Trophy for the best kept allotment at Buckland Common was given by the Society in his memory. John Horn lived at Renrut Cottage in Buckland Common and had an allotment for many years growing prize-winning vegetables. He always gave plenty of good advice to new allotment holders. The Stephens Award is for the most prize money won by a ‘Villager’ in the fruit, flower and vegetable classes. Jackie Stephens lived at Orchard End, Buckland Common where she created wonderful herbaceous borders and had a prolific vegetable garden. She was trained as a horticulturist at Waterperry in Oxfordshire and was happy to give garden advice. She now lives in Devon. 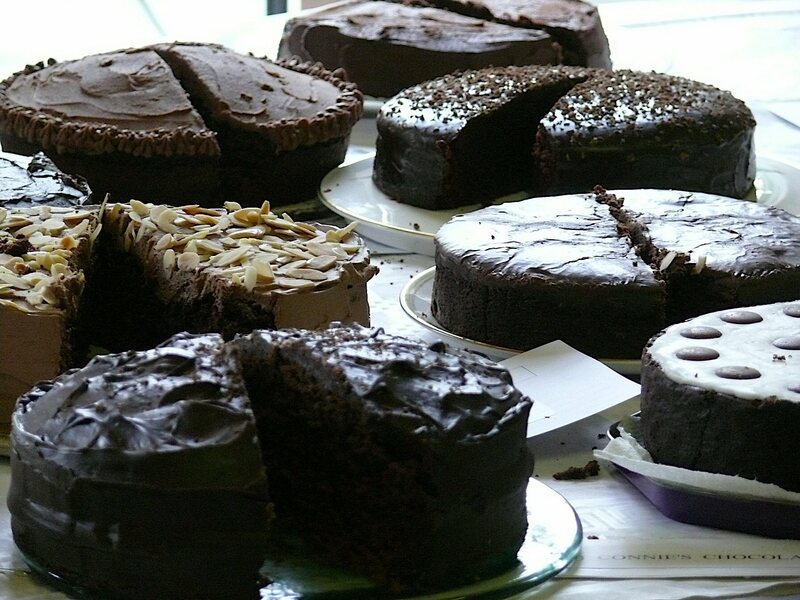 The Connie Brown Award is for the winner of the chocolate cake made to her recipe. Connie lived at the White House, Parrotts Lane, Buckland Common. She was a member of the Society since the 1950s and long time committee member. She loved her garden and was the greatest cook – you had ‘arrived’ in the village when you were given her chocolate cake recipe. She won endless prizes for her sponge and fruitcakes at the shows. She died in 1997 having just made her final fruitcake. In compiling this historical note I would like to thank Betty Gomm, Margaret and Joan Walton for their help and memories of earlier days of the Society.